Jobs at Elysian State of the Art Early Childhood Development (ECD) Center with attractive salaries and other benefits. Jobs at Elysian Schools & College (New campus Elysian School, Astore) Gilgit-Baltistan. 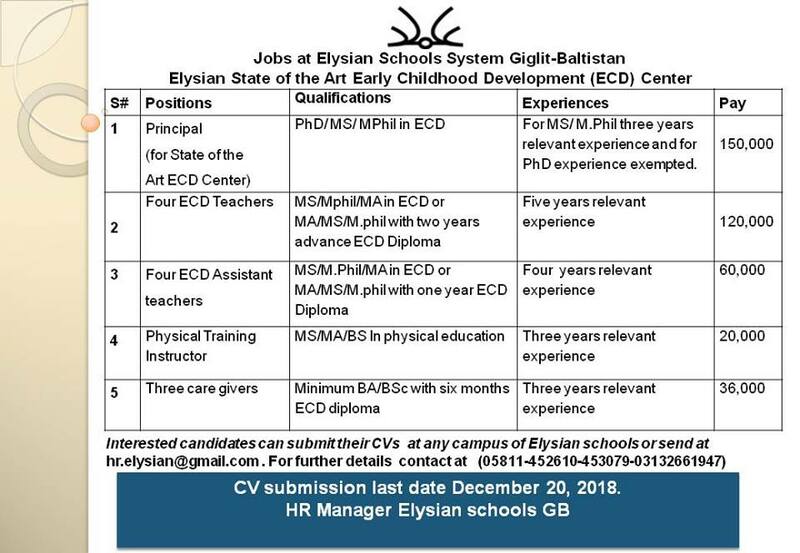 Interested candidates can submit their CVs at any campus of Elysian schools / Elysian Head Office Zulfiqarabad or send at hr.elysian@gmail.com.